If you're teetering on the edge of foreclosure, you may have a much better chance of finding your footing than in years past. Servicers of delinquent or at-risk mortgages appear poised to ramp up their use of alternatives to foreclosure this year, an industry shift that could enable many more homeowners to hold onto their homes through "home retention actions." Failing that, if mortgage borrowers have to give up their homes, they might at least find an option that's preferable to foreclosure. "Compared to a year ago, the number of completed foreclosures has slowed," Anand Nallathambi, chief executive officer of CoreLogic, said in a statement. "Since the foreclosure inventory is also coming down, this suggests that loan modifications, short sales, deeds-in-lieu are increasingly being used as an alternative to foreclosures to clear distressed assets in our communities." "Banks have put many foreclosures on hold over the past year and a half while waiting for the robo-signing settlement," says chief economist of listing service Trulia Jed Kolko, referring to the settlement over foreclosure abuses that was finally reached between major mortgage servicers and 49 states in February. And short sales have been increasing, relative to foreclosures, for months now, he says. Word on the street corroborates the finding, Zillow chief economist Stan Humphries says: "Anecdotally, we do hear that they're stepping up short sales quite aggressively." The timelines may spur an increase in short sales by, Humphries says, reducing "a lot of the uncertainty that has occurred here before, where your experience in heading down that path is highly variable." "Home retention actions," also have ticked up recently, rising slightly in the last two quarters of 2011, according to the Office of the Comptroller of the Currency. 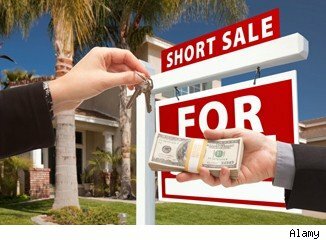 Like short sales, retention actions are used to stave off foreclosure. And they also seem poised to increase in coming months. Then there's the mammoth sum of principal reductions, which often are a part of loan modifications, that the nation's five biggest servicers are compelled to perform in the next three years: The banks may forgive well over $30 billion in mortgage debt in order to satisfy credits that they agreed to pay -- in the form of principal reduction -- as part of the robo-signing settlement. We should see "an uptick in principal reductions and loan modifications there" for mortgages backed by the five banks involved in the settlement, Humphries says.